Purchase direct from the publisher! Welcome to the literary world of H. J. Courtright. Here you will discover stories that stir the imagination, open the heart to the infinite possibilities existing within us all, and give reason to pause at those things that go bump in the night. Mr. Courtright writes in a variety of styles and genres, ranging from new age, to romance, to adventure. He is intrigued by stories that exemplify both the frailties and strengths of the human experience. 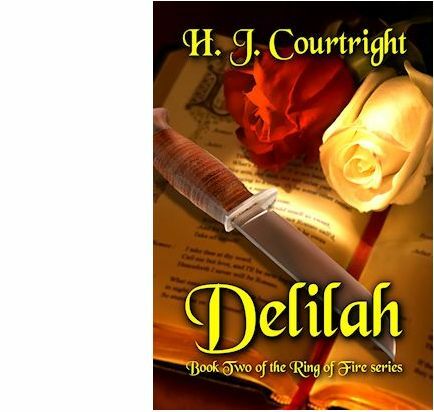 His next novel, Delilah, will soon be available in Ebook format at Amazon. Learn more about this exciting story! All rights reserved. All material on this website as well as the books offered are protected by copyright law. It is unlawful to reproduce these materials, or any part thereof, for any reason without advance written permission from the publisher. Authors of intellectual property depend on copyright to protect their work which allows them to earn an income by selling it. Without such protection, there would be much less incentive to create such works. By respecting the author’s rights, you can help create a better environment for all creative endeavors.